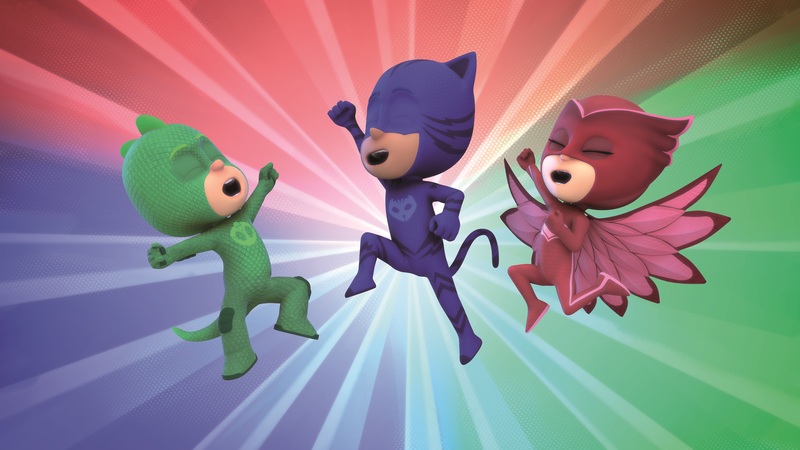 Entertainment One (eOne) announced its plans for the launch of PJ Masks merchandise in France. The licensor has appointed France TV Distribution (FTD), the agent for Peppa Pig in France, to manage the consumer products programme for PJ Masks in the region. eOne and FTD are now collaborating on the merchandise launch for the preschool property in France which will see toys debut at mass market and toy specialists from January 2017 and additional categories including footwear rollout from Autumn/Winter 2017. Leading toy firm Giochi Preziosi is on board to distribute Just Play’s master toy line, which will include action figures, play sets, vehicles, plush, dress-up and role-play based on eOne’s hit preschool superhero animated TV show. Following the toy launch, the merchandise programme will be expanded in Autumn/Winter 2017 as Paris based footwear licensee, Royer, introduces a line of PJ Masks kids’ footwear. Produced by eOne and Frog Box in collaboration with animation studio TeamTO, and co-producers Disney Junior and France 5, PJ Masks (52 x 11min) launched on France 5 in December 2015. It also airs on the 24-hour preschool Disney Junior channel in France where it debuted on 29th August 2016. Series 2 of PJ Masks has been greenlit and is currently in production. eOne also recently announced partners due to launch products in the UK from February 2017 including Flair’s Just Play division (toys), Hachette (publishing), Aykroyd TDP (nightwear and underwear) and Immediate Media (official magazine). Other international territories are slated to debut merchandise from 2017.